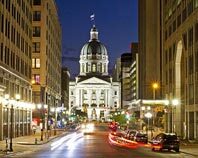 Often called the “Crossroads of America,” Indianapolis lies at the intersection of some of the most important communities in the United States. With Chicagoland to the West, Ohio and the Northeast to the East, the Great Lakes States to the North, and Kentucky providing a window to the American South, this city anchors some of the nation’s most important trade routes. This provides a boost to the local economy, which Indianapolis builds on through its vibrant automotive, tourism, medical, and insurance industries. ExpeditedFreight.com makes sure that these producers each get all the supplies they require, bolstering the city’s economic prowess. The Indianapolis metropolitan area is home to more than 2 million people, who combined with the thousands passing through each day contribute to regular traffic congestion. This makes it harder for businesses in the area to bring in supplies. Take the city’s light vehicle manufacturing industry: these automakers often work on tight schedules, making it essential that their carriers deliver tools and raw materials quickly and consistently. But with the roads constantly clogged with commuters, how can carriers possibly meet this demand? The answer lies in careful route planning, an art that ExpeditedFreight.com has perfected over the course of our long history in express trucking. Rather than simply taking the shortest route, we consider multiple factors, including traffic patterns, road quality, and the likelihood of a serious storm. By taking this information into account, we are able to plot a course from your starting point to your destination that is quick, safe, and subject to few delays. 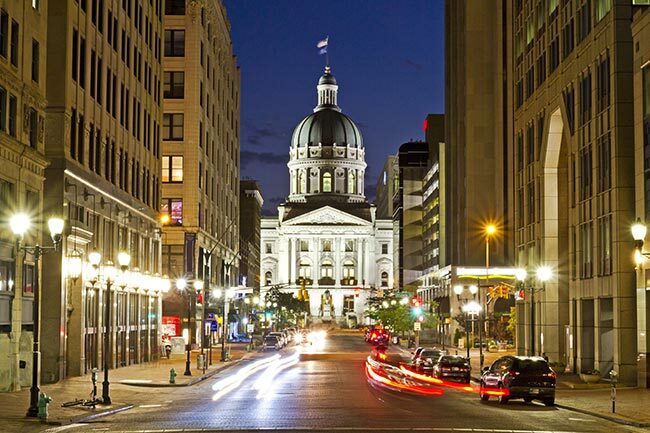 We provide these services for clients shipping both into and out of Indianapolis, as well as through neighboring communities like Marion, Zionsville, Muncie, Kokomo, Lafayette, Terre Haute, and Anderson. Even with such careful route planning, there is always a chance that some unexpected event could delay our trucks on their way into or out of the city. The ExpeditedFreight.com team is thus constantly on the alert, paying attention to traffic news, weather reports, and any other source of information on possible delays. Whenever we detect an obstacle in the way of a truck, we use our advanced tracking tools to determine the truck’s position, and then contact the driver. We steer the vehicle onto an alternative route, thereby minimizing the severity of the delay. This means that we devote a vehicle to your order rather than lumping your items in with those of other clients. This has two benefits: it increases speed by letting us go directly to your destination, and it improves safety by allowing us to load any unique storage equipment that you require. To further raise safety, ExpeditedFreight.com requires two drivers to operate each vehicle, and makes sure those drivers are fully rested. Honda Manufacturing of Indiana is located at 2755 N. Michigan Avenue in Greensburg, a small town with outsized significance. This facility has been in operation since 2008, when it began producing the Honda Civic. It continues to make the latest versions of this vehicle, along with the Honda CR-V. 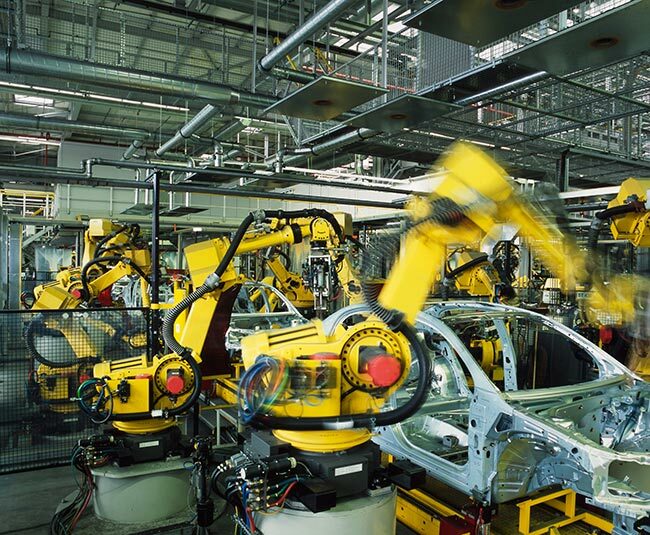 When operating at full capacity, the plant can produce 200,000 cars per year. Honda Manufacturing of Indiana’s location in Greensburg is both a boon and a challenge for logistics. On the one hand, the fact that the area is far from most major cities means that the roads are almost always clear, making it easy for carriers to bring essential supplies into the plant. On the other hand, it forces carriers to travel from farther away and limits the number of shipping vehicles that are readily available at any one time. This means that when there is a shipping emergency, Honda may need to wait for days or even weeks to resolve it. Considering how many thousands of drivers rely on the plant for their cars, this is an unacceptable delay. ExpeditedFreight.com has the expertise and resources to deal with any such shipping emergencies. We keep delivery vehicles in strategic locations all over Indiana and the rest of the Midwest, allowing us to get to and from the plant with ease. Combined with our careful route planning and proactive safety steps, we ensure that Honda never struggles to keep its facility running smoothly. The ExpeditedFreight.com network extends all over the United States, so we can ship into Indianapolis from any starting point. For more information on these services or to reserve a truck for your next delivery, contact our 24/7 customer service team today at (317) 800-7222.